Those born between February 19th and March 20th are born under the twelfth and last sign of the zodiac, Pisces. Today, we will be taking an in-depth look at the star sign, discussing its history and mythology as well as the unique traits of a Piscean. The name Pisces comes from the Latin word for ‘fishes’. Often seen as the most important sign, Pisces is the twelfth astrological sign of the zodiac. Similar to all the other star signs, there are many different myths and stories involving the origin of Pisces. According to one Greek myth, a monstrous god named Typhon was attempting to overthrow the power of Zeus. The power of the evil god caused all of Zeus’ followers to flee to Egypt while Zeus remained to battle and eventually conquer Typhon. It is believed that following this battle, Aphrodite and her son Eros were walking along a river bank where they sensed the presence of Typhon. They escaped by quickly plunging into the river and taking on the form of two fishes. In religion, many Christian symbols for Christ use the Astrological symbol for Pisces. It is believed in Christian faith that Christ bears many of the personality traits associated with Pisces. Pisceans are typically thought to be sensitive, honest and loyal individuals, with an abiding trust for everybody, making them great friends and romantic partners. Their easy going and positive nature often makes them socially popular and deeply empathetic with others. However, this means that they can be deeply affected by their environment, and their sensitivity and emotions can often cause them to get hurt. Pisceans are exceptionally gifted artistically and in their intelligence. They have the ability to absorb important details through observation. Their desire to learn new things and notable creativity often brings them great success in their careers. The most positive aspects of a Pisces personality are their compassion and empathy for others. They are also vastly imaginative, making them fun companions whether at work or in a social setting. Pisces is also one of the most psychically intuitive signs of the zodiac system. The downside to trusting everything and everybody is that there will be times when the cold hard truth of the world is very disturbing to Pisces. They can at times be a bit manipulative as a sign, when they are in this zone others may have trouble making fact from fiction. On occasion they will go back on their promises. The Pisces sign does not necessarily like being part of a team, they will also tire of strict routines. Pisceans are very effective in roles where they are their own boss, or are given autonomy to make decisions. It is likely that the Pisces sign will not seek out a position of authority, preferring instead to use their creativity and imagination. Jobs that allow travel often appeal to the Pisces Star Sign, they are also often see in ‘the arts’ – TV, ballet, radio, music, theatre, art etc. Pisceans need three things in a relationship – love, romance and affection, otherwise things are just not going to work! They themselves are romantic by nature, they like to engage on an emotional level with their partners and they are quite good at adapting to other people and their needs. To feel loved Pisceans want little gestures on a regular basis, they want to feel part of a wider family, children will often fit into their ideal of a long-term union. Anniversaries, birthdays and the like should be treated as special celebratory events. The Pisces parent encourages lots of opportunities for the child to be a child – to play. Pisces want the child to be stimulated by experiences, to day-dream and be artistic. They are likely to raise any children in the same way that they were raised. This may cause problems if the child is very different in personality to them. Pisces don’t always understand that children are individuals from a very young age that potentially need nurturing in different ways. The parenting style of a Piscean can be seen as ever changing, they are not great at maintaining and sticking to boundaries. These parenting behaviours can sometimes be confusing for the child. They can also be a bit over-emotional, which may not suit some zodiac signs. 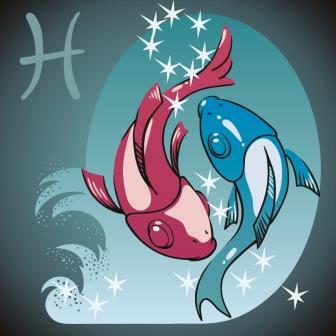 As children, Pisces creates a child that craves a harmonious atmosphere to grow up and learn in. The are natural day-dreamers, and like artistic creative play. They can be soft-hearted, and take other children or sibling’s actions to heart if they are not sensitive to Pisceans style. As you would expect from a water sign, Pisces love water sports – from fishing, to sailing to swimming. They also have other varied interests from things like film, dance, yoga, photography, painting, theatre etc. Friendships are often built around these activities. As friends, Pisceans are very loyal, but they do need to feel that the relationship has a practical level – that it is useful. Pisces are low-maintenance friends, they can go a long time in-between seeing someone and still treat them the same. Their friendly caring attitude makes them easy to be around. Famous Pisceans include some of the most notable and powerful people in the world. They include Rupert Murdoch, Steve Jobs and George Washington. Pisceans have a workaholic nature, their ability to be highly tuned into everything around them is demonstrated in these influential figures. Pisceans creativity and their ability to empathise with others also makes them incredible character actors. This can be noted in famous Pisceans such as Bruce Willis, Michael Caine and Daniel Craig. All of these celebrity Pisceans have achieved great success in their careers. If you would like to learn more about the Pisces Star Sign, and discover what is to come for you this month then visit our free Horoscopes page. Many of Our Psychic readers are especially talented in astrology and may be able to tell you more about your zodiac sign. You can also see what other star signs may be compatible with Pisces.